Some of you may or may not remember that two years ago Jenny, Aurora and I shaved our heads to help raise money to fight childhood cancer. It was one of the most liberating things I've ever done. I still remember how bizarre it felt to lay my head on the pillow and the crazy noise whenever I rolled over. I could actually hear my hair. From that time until now, our good friend Raven has been psyching herself up to do the same thing. And I'm guessing that giving up all that hair will be a lot harder for a 12 year old than a bunch of moms. 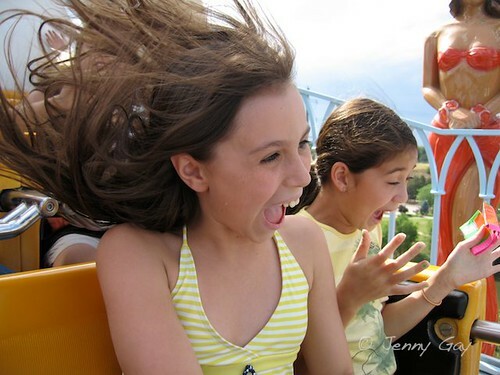 She's the one with the flying hair in the picture below. You can see her beautiful poem here and her insane birthday present here. If you haven't read that poem yet, you really should click on over to it. It's worth the time. 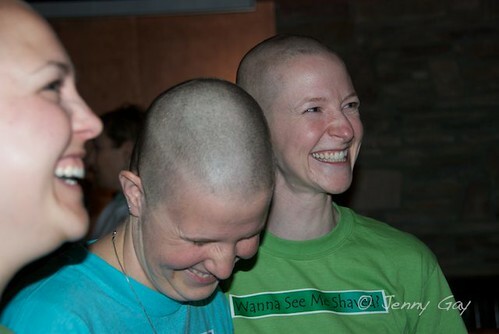 So this Friday, we'll be heading out to Fado's to cheer her on as she gets every hair on her head shaved off. 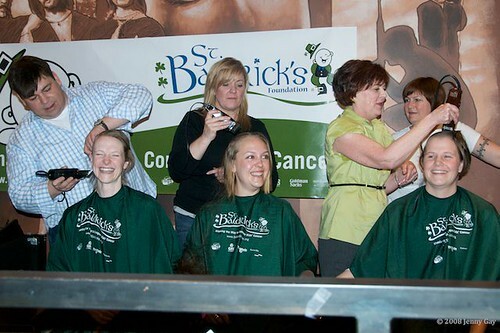 If anyone feels moved to do so, please make a donation to St. Baldrick's, a not-for-profit organization that works to improve the lives of kids with cancer. And, as extra motivation, I'll once again be giving away one of my aromatherapy necklaces to a random donor. Just come back here and let me know you've donated. 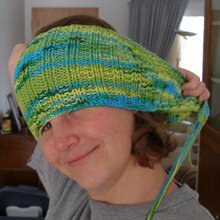 Also, I'll give you an extra chance at the prize if you link to this post from your blog (just let me know). She's just 205 dollars short of her goal and you can donate as little as a dollar and still be entered in the drawing. That actually looks like a lot of fun! I'd imagine shaving your head is easier if you have a few good friends to do it with. Headed over to donate now! Happy shaving to Raven! I am so proud of her and hope tonight goes well. :) Please have an ale for me at Fado's. I love it there. It's a place with some bittersweet memories, but Fado's Denver will always be in my heart! that's so cool... I know I wouldn't have had the guts to do that at that age! Oh CRUMB!! I swear I left a comment here the other day. I think I had a glitch in Chrome or something -- maybe it had to do with the new comment moderation thing here?